Erik (Homepage) wrote: Fantastic light incidence! I really like how the plant is illuminated from the back. Vink (Homepage) wrote: Fantastic ! in my favorite collection ! nico (Homepage) wrote: This is a fantastic picture!! joshi daniel (Homepage) wrote: nice shot! Rachael (Homepage) wrote: I found your site through Sherri at pearweed & I'm so pleased. Terrific use of light with this plant. Ferns are so delicate. A wonderful capture. ward robinson photo (Homepage) wrote: very striking shot-well done, this feels very uplifting and universal to me. 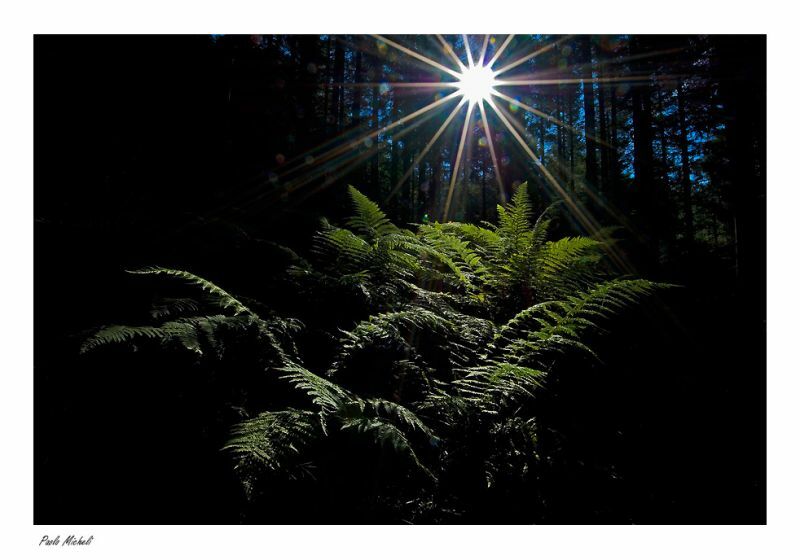 not the fern itself but the image and its light. Denis (Homepage) wrote: This is simply fascinating ! Excellent picture, I would like to have it on the wall in my room ! NJ & SB Photography (Homepage) wrote: una estrella perfecta, bello contraste de luz y penumbra! petitlouis (Homepage) wrote: Magnifiquement traité, ce sous-bois ! Oleg (Homepage) wrote: Ciao Paolo. Molto bello questo scatto. Io sto sperimentando con le HDR in questo periodo. Sono stato anche io nei boschi durante ferragosto, dalle parti di Como. Appena ho tempo mettò degli scatti che ho fatto lì. Saluti! Alejandra (Homepage) wrote: Really a magical shot! Great light! yz (Homepage) wrote: Mystic shot, great lighting! martineb (Homepage) wrote: Wonderful flare!! Great composition! Al (Homepage) wrote: great capture of the suns rays without over exposing the whole image! oldshutterhand (Homepage) wrote: Really impressing. Is that sun real or added? Valérie (Homepage) wrote: Its simply beautiful! Un cliché éclatant, le rendu est surprenant. Bravo! tom (Homepage) wrote: Perfect shot. Love the sun rays and the light on the fern in the front. Laurie (Homepage) wrote: incredible lighting! Marcie (Homepage) wrote: Stunning capture! Love how you've processed and captured the sun's rays. Perfect lyrics to this beautiful image. Arjan - PlasticDaisy (Homepage) wrote: Wow! This is stunning! Like a mix of a night and day shot. Very cool range of dark to light. Well done! Michael Rawluk (Homepage) wrote: Wow. That is stunning.